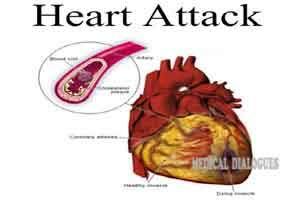 Toronto : Researchers, including one of Indian-origin, have found three effective methods involving statins and antihypertensives which may prevent heart attacks and stroke worldwide. Scientists from Population Health Research Institute (PHRI) of McMaster University and Hamilton Health Sciences in Canada studied more than 12,000 patients from 21 countries to evaluate drugs that can prevent cardiovascular diseases (CVD). These diseases lead to 18 million deaths and about 50 million heart attacks and strokes globally every year, researchers said. “These are incredibly important findings with potential for significant global impact. If just 10 per cent of the world’s population at intermediate risk of CVD is impacted, we are talking about 20 to 30 million people who could be helped by these drugs,” said Salim Yusuf from PHRI. The three methods examined included two forms of therapy statins, a group of cholesterol lowering drugs, and antihypertensives, a class of drugs used to treat high blood pressure. In addition, a combination of statins and antihypertensives was reviewed, researchers said. The study involved 228 centres looking at the effects of the three treatments in people at intermediate risk of, but without, clinical heart disease. Statins proved to significantly and safely reduce CVD events by 25 per cent in patients at intermediate risk without CVD, researchers said. Antihypertensives did not reduce major CVD events overall in the population studied, but did reduce such events in the group of people with hypertension, but not in those without hypertension, they said. When combined, statins and antihypertensives reduced CVD events by 30 per cent with a 40 per cent benefit in those with hypertension, suggesting that patients with hypertension should not only lower their blood pressure but also consider taking a statin. “Treatment with a statin was remarkably safe and beneficial in our study, regardless of cholesterol or blood pressure levels, age, gender or ethnicity. We are incredibly encouraged by the study’s results,” said Jackie Bosch from McMaster University. “These simple methods can be used practically everywhere in the world, and the drugs will become even cheaper as more and more systems and people adopt these therapies,” said Yusuf. The findings were published in the New England Journal of Medicine.